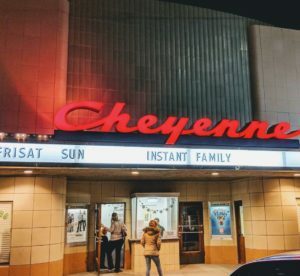 A new marquee is just one more improvement to a grand old building in Saint Francis that originally opened in 1949, at a time when television was not an available source of entertainment. Through the years, the theatre has changed owners, and was even closed for a time. But local volunteers have repeatedly resurrected and supported this community icon with dollars and volunteer hours. A small grant from the Hansen Foundation assisted in the marquee project.